Cameroonian President Paul Biya won re-election with 71 percent of valid votes cast. The country’s Constitutional Council announced the results of the October 7 polls on Monday amid high security across the country. Biya, 85, will thus be extending his 36-year rule by another seven years. This is his seventh term in office but fifth under the multi-party era. He is only behoind Equatorial Guinea’s Theodore Obiang Nguema on the list of Africa’s longest-standing leaders. The president of the Constitutional Council, Clement Atangana declared the October 7 election free, fair and credible, notwithstanding the security challenges in the English speaking regions. He then started proclaiming the results of the presidential election, region by region. Maurice Kamto of the Cameroon Renaissance Movemen (CRM), who declared himself winner of the election, trailed Paul Biya in the official results, in all but one region. Results of the October 7 presidential election are expected on today according to the information minister, Issa Tchiroma. Over the weekend, security forces clamped down on planned opposition protests, arresting journalists and placing prominent politicians under house-arrest. On Monday, the spokesperson of leading opposition candidate, Maurice Kamto, said the candidate who declared himself winner of the election two weeks ago, would not be attending the proclamation of the results by the Constitutional Council. Kamto, Osih petitions dismissed, ELECAM to announce results? Cameroon’s Constitutional Council on Thursday threw out the remaining two poll petitions that it had admitted from a pool of 18 seeking partial or total cancellation of the October 7 presidential elections. The two were filed by main opposition Social Democratic Front, SDF and the Cameroon Renaissance Movement, CRM, led by ex-Biya appointee, Maurice Kamto. Osih had decried what he described as a state of apartheid in English-speaking regions, where most people could not cast votes due to insecurity. The decision said to be a unanimous one by the judicial body paves the way for the declaration of results in a poll largely expected to hand incumbent Paul Biya a new seven-year term. The opposition parties had alleged widespread irregularities insecurity and low turnout especially in restive Anglophone regions but the court held that it was not enough basis to warrant their demands. The ruling CPDM and elections body, ELECAM, strongly defended the conduct of the polls stressing that the process had been free, fair and democratic. The decision paves the way for the court to now declare 85-year incumbent president Paul Biya, who has rule #Cameroon for the past 36 years as winner of the poll, handing him another 7-year term. Hearings will continue today, October 18, in Yaounde where two main opposition parties are challenging the presidential polls of October 7 before the Constitutional Council. Sixteen of eighteen petitions were dismissed by the Council on the first day of its sitting earlier this week. The only two admitted were that of main opposition parties, the Social Democratic Front, SDF, and the Cameroon Renaissance movement, CRM. The CRM, led by former minister Maurice Kamto, went into the polls in a coalition with Akere Muna’s Now Movement. Kamto has since close of polls claimed that he won the vote. Maurice Kamto: The ‘star player’ in Cameroon polls? He stressed before the Council that he stood by the declaration: “My declaration on 8th October was based on information from my representatives in some polling stations in most regions,” state-owned CRTV quoted him as saying. Himself, Muna and a team of lawyers have taken center stage at proceedings before the Council. First, asking some members of the council to recuse themselves over partiality and demanding a neutral body sits on the petition, both instances were rejected as being without locus. Kamto's lawyers call on Constitutional council members to examine their consciences and render judgement that will protect their legacy. On the substantive case, Team Kamto, have taken turns to present evidence before the Council to prove their case of gross electoral infractions and the subsequent need to scrap the entire process. The ruling CPDM and elections body, ELECAM, have responded by saying the claims where wholly untrue. The SDF’s legal team will take their turn today to present the facts underlying their call for a total cancellation of the vote. Meanwhile, reports indicate that a ruling is expected today on the Kamto team’s submissions. Cameroon’s Constitutional Council yesterday, October 16, dismissed as many as sixteen of eighteen post-poll petitions presented before it by aggrieved opposition members and parties. Among those whose applications were dismissed were Cabral Libii. Self acclaimed poll winner, Maurice Kamto, leader of the Cameroon Renaissance Movement, CRM, was himself present in court to make submissions. Kamto had advanced an argument of partiality on the part of the Council as he sought the disqualification of six members. He accused them of being persons who had the interest of the ruling CPDM at heart and thus unfit for the exercise. He was ruled as not having a strong enough basis to demand for another judicial body to sit on the issue. The sitting which took place in Yaounde was suspended at a time Kamto’s party was to adduce evidence on irregularities in areas it wanted results cancelled. Leader of the Council, Clement Atangana, has long been accused of been a loyalist of incumbent Paul Biya. Biya is seeking a seventh term in office, his fourth under the multi-party era. Today is the day elections petitions – 18 in all – are expected to be heard by the Constitutional Council sitting in the capital Yaounde. Individuals and parties are seeking partial and in some cases total cancellation of the October 7 presidential polls. Yesterday, there was a no-show despite widely publicized news that the government through information minister, Issa Tchiroma Bakary, was to explain the “ghost observers,” who claimed to be from Transparency international, TI. The said observers had given top marks to the election process last week but also attracted a disavowal by TI who said they had no observers dispatched to Cameroon for such reasons. The camp of self-acclaimed poll winner Maurice Kamto has also been buzzing. Kamto’s camp were barred from holding a press conference in Yaounde yesterday even though he issued a statement on Facebook dismissing reports of a Biya victory of 71%. Kamto’s also received his party’s treasurer who was released from jail after over a week. The CRM Treasurer, Okala Ebode, had been behind bars for 8 days because he denounced electoral fraud, local portals said. Maurice Kamto receives CRM Treasurer, Okala Ebode shortly after the latter's release. He has been behind bars for 8 days. Date set for petition hearing, Biya victory leaked? 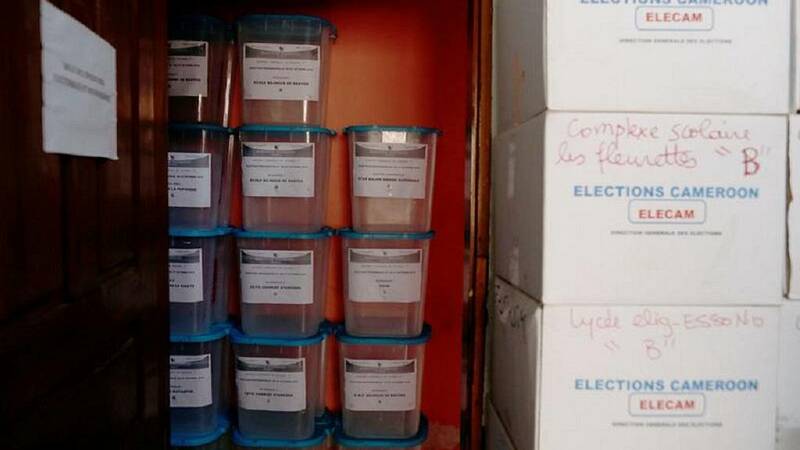 State-owned Cameroon Radio Television, CRTV, late last week reported that a date had been fixed to hear election petitions filed in relation to the October 7 presidential elections. The date is October 16, 2018 at the Yaounde Convention Center. The election body, ELECAM, has confirmed receiving 18 petitions filed at the Constitutional Council. The petitioners including major opposition parties are seeking partial and in some cases total cancellation of the results. Already, one candidate, Maurice Kamto has claimed victory in a move widely condemned by government and the ruling party. Meanwhile, local media portals are reporting that a leaked result shows that president Paul Biya was in the lead with over 71% of votes cast. The government or ELECAM has yet to confirm or deny the information. The fight against fake news was one of the core campaign issues ahead of the election. Yaounde had gone as far as seek the help of social media giants, Facebook, to help combat the menace. Supposedly 'leaked' election results. #Biya claiming 71% in total, 77% in SW Cameroon and 81% in NW #Cameroon, the two Anglophone regions. 18 poll petitions deposited at Constitutional Council, ELECAM confirms. Elections body, ELECAM, on Thursday confirmed that it had been served legal challenges to the October 7 presidential polls. 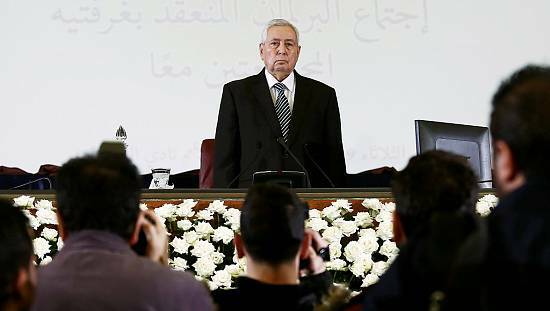 A total of 18 individuals and parties had approached the Constitutional Council. “They are thus allowed 48 hours to submit their replies, against a receipt. Section 133 (3) od the Electoral Code,” it added in a tweet. Meanwhile a local journalist is reporting that the main opposition Social Democratic Front, SDF, candidate, Joshua Osih in his application to the Council is seeking a total cancellation of the process. State broadcaster, CRTV, have confirmed reports that a number of opposition parties had approached the court over the October 7 presidential elections. CRTV said in a tweet on Thursday, four days after the vote, that a total of 17 applications had been made to the Constitutional Council demanding partial and in some cases total cancellation of the vote. They confirmed that among the applicants before the top court were main opposition leader Joshua Osih of the Social Democratic Front, SDF, and Maurice Kamto who led an opposition coalition that involved Akere Muna, a famed lawyer. Local media in Cameroon are reporting that the camp of opposition contender Maurice Kamto on Wednesday afternoon held a press conference in the capital Yaounde amid deployment of heavy security. Kamto’s spokesperson among other demands called for a probe into the false report carried by state broadcaster, CRTV. Kamto’s camp said the TV and ministry responsible for accreditation needed to be probed. CRTV had carried a news item on Tuesday alleging that Transparency International, TI, had given high marks to the October 7 process. TI in a statement denied the report. Other issues he raised were that: There was a ploy to blame violence on Kamto, that there was growing tension in the country. He also flatly denied that Kamto was being financed by politicians held in prison over an anti-corruption crackdown, Operation Epervier. The spokesman clarified in later reports that Kamto had only claimed victory based on figures and projections. “Maurice Kamto did not proclaim himself president, he claimed victory, it’s not the same thing,” Olivier Nissack reportedly said. Cameroon radio and television, CRTV, the state broadcaster has been exposed by international rights group Transparency International, TI, over a report that the group’s observer team had ‘blessed’ the conduct of the October 7 presidential polls. 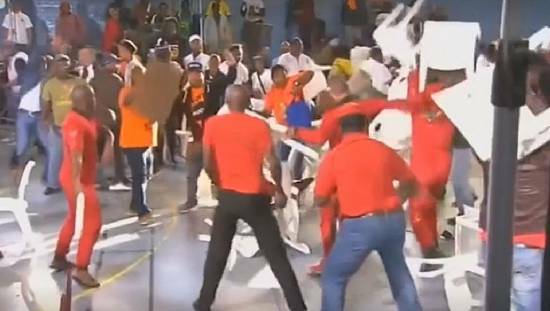 CRTV shared a video that purported to have observers with TI but the group in a press statement said it had not sent a team to observe the polls. “Transparency International confirms that it has no international election observation mission in Cameroon. A recent television report featuring individuals described as working for Transparency International is false and untrue,” a statement read. It is the most significant development surrounding the polls since opposition candidate Maurice Kamto declared that he had won a clear mandate from the people. The former Biya minister had been dismissed by the government describing his move as irresponsible and illegal. Kamto’s coalition ally, Akere Muna, is a former TI top official. He resigned to contest the presidential polls but entered an alliance with Kamto less than 24-hours to the vote. Voting closed in Cameroon in Sunday evening and counting of ballots started in earnest. Main opposition Social Democratic Front, SDF, vowed to police the counting and results declaration process. But it is the declaration of victory by Maurice Kamto, a former Biya minister that has thrown the process into a state of shock. 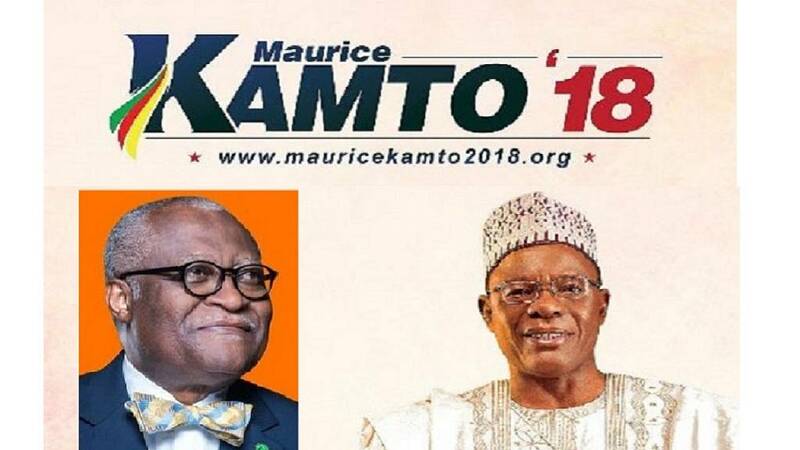 Kamto who led a two-party alliance involving famed lawyer Akere Muna said the goal of his party had been reached. Cameroonians have chosen to go down a historic path by voting out the incumbent. He has won a clear mandate he is ready to defend firmly. Called on Paul Biya to make transition arrangement to avert needless post-poll crisis. His supporters can remain joyful and proud of the achievement. 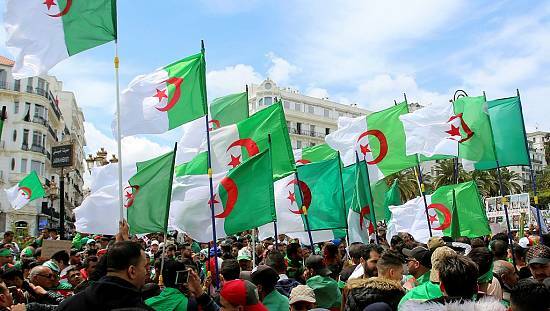 The government has yet to officially react to the development but electoral laws suggest that it is an offense to declare oneself winner of the elections. A point that had been stressed by government in the run up to the vote. 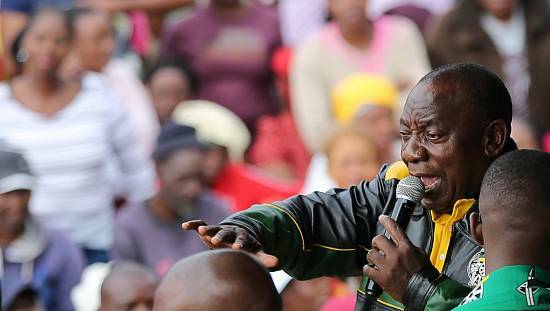 Sections of the Electoral System stipulates that the President of the Republic is elected for a seven-year term by universal suffrage and by direct, equal and secret ballot. According to the Cameroon electoral code, the president is elected by a single-round majority ballot and the candidate having obtained the majority of the votes cast shall be declared elected. It also states that election will not be complete until Cameroon’s Supreme Court rules on requests for annulment and announces the results. Cameroonians voted on Sunday (October 7) in a key presidential election which could end or extend the 36-year rule of President Paul Biya, one of Africa’s longest serving leaders. Polls opened at 0800 local (0700GMT) across much of the country including areas in the restive English-speaking regions. Security has been heightened with armed personnel deployed outside most poling stations. Reuters reports that three separatists have been shot dead in Bamenda, capital of the northwest region of the country. The northwest and southwest regions have been the epicenter of what has become known as the Anglophone crisis. A security source told Reuters that the trio had been gunned down for attempting to disrupt the voting process. Separatist groups have vowed to stop the polls from taking place in both regions. Did you know that diaporans are voting? Indeed, Cameroonians in the diaspora are joining in the process of choosing the next president of the country. Elections body, ELECAM, shared photos of people casting their ballot outside of the country. 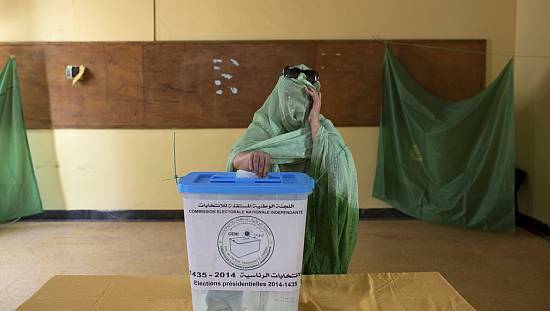 Among other places, people in Malabo, Cairo, Brussels and Tel Aviv are all voting. Will opposition coalition count for much? In a surprise and belated move with about 24-hours to opening of polls, two opposition members announced a long-expected alliance. Former Biya-era minister Maurice Kamto agreed a coalition with famed lawyer Akere Muna. Muna’s correspondence to the elections body, ELECAM, to step down as a candidate was however turned down. He has asked his supporters to vote for Kamto. A reported third coalition member, Serge Espoir Matomba, denied agreeing to join late Saturday. Political watchers said despite the coalition being a welcome move, it had come too late in the day but that its impact will be properly assessed after the close of polls and in the stage of results declaration. 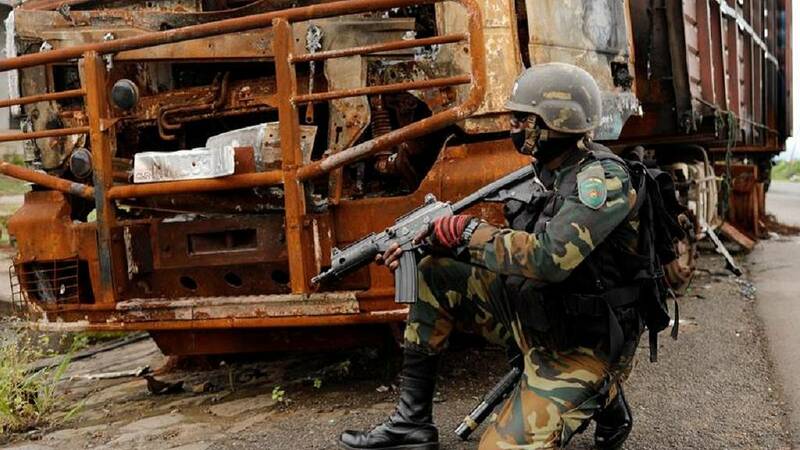 The European Union, EU, said it will not deploy observers to Cameroon as it has done in almost all previous votes across Africa. 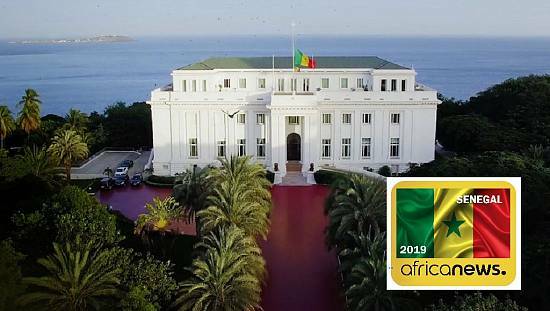 But the African Union, AU, has a team in the country led by former Togolese Prime Minister, Artheme Ahoomey Zunu Kwesi Agbefia Seleakodji Lolonyo. The EU and UN have all called for peaceful and transparent process. A victory for Biya, who has ruled since 1982, would usher in a seventh term for the 85-year-old and see him stay until at least the age of 92, bucking a tentative trend in Africa where many countries have installed presidential term limits. It would maintain a long held status quo in the oil and cocoa producing Central African country where, despite relative economic stability and growth of over 4 percent a year since Biya was last elected in 2011, many of its 24 million citizens live in deep poverty. Most have only known one president. Of Biya’s biggest challenges has been the year-old secessionist uprising in the Anglophone Northwest and Southwest regions that has cost hundreds of lives and forced thousands to flee either to the French-speaking regions or into neighbouring Nigeria. It further complicates Cameroon’s security mix, that is, for a country that is still battling Boko Haram insurgents in its Far North region. A new security region was set up in Bamenda in what was seen as a security solution to the separatists.